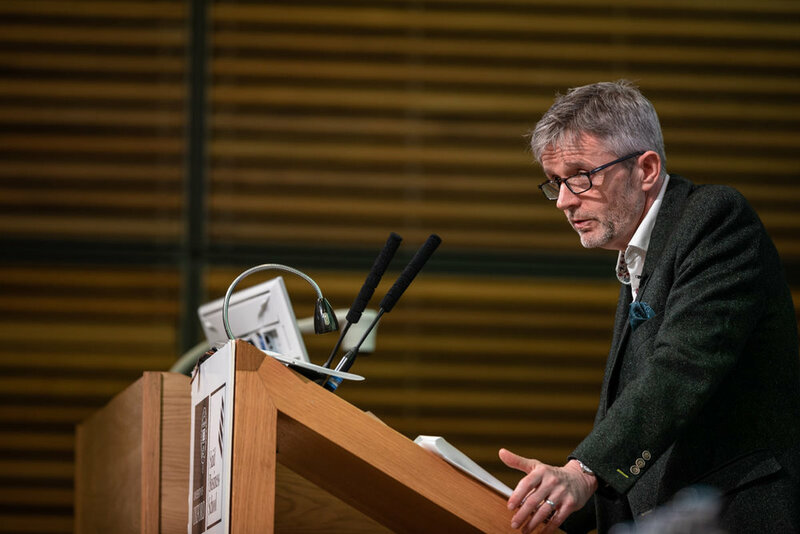 As the size and influence of multinational corporations have grown to levels that today rival nation states, the importance of business for our prosperity, wellbeing – and for our very survival – has never been more evident. And despite the 2008 crisis that shook the pillars of business and society; despite hundreds of books, publications, conferences, and global initiatives on the topic of sustainability and corporate social responsibility; despite all this, we still live in a world where people and the planet are in service of business; business is, in turn, is in service of finance, and finance is primarily in service of itself. This model is neither sustainable nor fair, and the level of trust in business and in business leaders has reached a dramatic low point. A profound transformation in the way business operates is needed. This is both a duty and an opportunity for the business leaders of today and tomorrow to embrace. 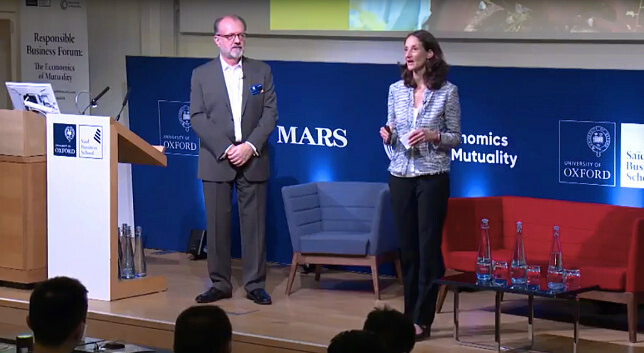 It was against this backdrop that the third annual Responsible Business Forum: The Economics of Mutuality took place on 18 and 19 May 2018 at Saïd Business School, University of Oxford. 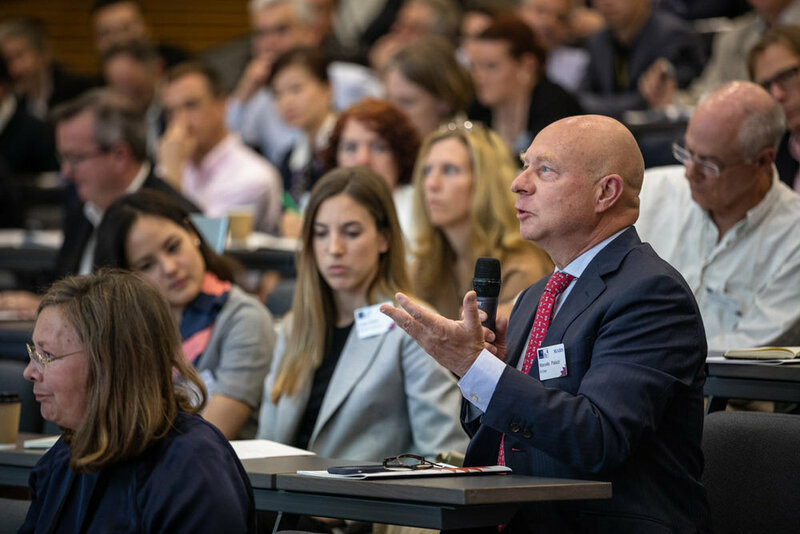 Over 500 attended, including senior executives from businesses, foundations and NGOs, academics, investors, government policymakers, and MBA students. Organized jointly by Saïd and Mars Catalyst, the think-tank of Mars, Incorporated, as part of their multi-year joint research program, this year’s Forum built on the success of the previous two annual events and on more than a decade of in-depth research and practical business application to introduce the Economics of Mutuality, a breakthrough management innovation that proposes a more complete and more mutual model of value creation. Based on new performance metrics, new management practices and new modes of profit construction, the Economics of Mutuality aims to restore the positive role of business and finance in society, to rebuild trust in business and finance and to create opportunities for businesses to grow faster, more profitably and responsibly. Key themes emerging from this year’s forum included the realisation that business leaders are ill-equipped to handle the new complexities, size and influence their businesses confer on them, and the inadequacy of the management sciences field at present to support the fast-evolving nature of the challenges that modern businesses face. More specifically, through a series of keynote speeches, case studies and master classes that enabled delegates to go deep into various aspects of the Economics of Mutuality approach, the forum explored recent advances in measuring and managing business performance beyond financial capital alone, as well as innovative new management accounting practices based on the concept of ‘mutual profit’ that embrace different forms of capital – financial and non-financial. The forum also explored new forms of governance and education, highlighting the responsibility on the shoulders of business leaders to reposition the corporation positively, in ways that reflect the changing needs of society and the planet, thereby restoring trust in the institution. During the forum, the concept of mutuality was introduced as ‘an invitation to join a network of reciprocal relationships in an ecosystem,’ and the Economics of Mutuality was presented as a management innovation proposing a ‘Copernican’ type revolution, whereby the firm and maximising profit are at the periphery of a broader ecosystem of stakeholders rather than at the center. In such a business model, Purpose is meant to be at the center and to be the central driving force for the firm to ‘develop solutions to people and planet profitably and at scale’. And, once the firm commits to its purpose, it also commits to those contributing to that purpose, giving rise to a reciprocal relationship of trust. In that mutually beneficial (reciprocal) process business will generate growth and profit (potentially even more than traditional models that focus on maximising profit alone), but profit itself is not the purpose of business. In a real sense all life is inter-related. All men are caught in an inescapable network of mutuality, tied in a single garment of destiny. Whatever affects one directly, affects all indirectly. I can never be what I ought to be until you are what you ought to be, and you can never be what you ought to be until I am what I ought to be... This is the inter-related structure of reality. Specifically, the firm must map the ecosystem in which it operates, identify the most critical and relevant external pain-points it should internalise (a strategic decision), and acknowledge that the firm is not at the center of the ecosystem, but rather is a stakeholder among other stakeholders in service of a greater purpose. This methodology in the Economics of Mutuality is called Ecosystem Mapping & Shaping. The firm must also shift from conventional notions of profit and management accounting practices to the notion of mutual profit that includes non-financial as well as financial value. This approach is based on the understanding that the firm not only creates and / or depletes financial capital, but is also involved in creating and / or depleting human capital, natural capital, and social capital, all of which have value and contribute to the overall value creation of the firm. The value of these non-financial forms of capital is essentially squandered by the firm today because it is not measured, meaning it is not managed intentionally. This new mutual profit approach is made possible by two breakthrough insights that the Economics of Mutuality initiative has uncovered. The first is that a small number of simple, stable and actionable non-monetised metrics can account for different types of capital – based on the principle of respecting the nature of each capital, rather than attempting to convert them all (inaccurately) to a simple dollar equivalent, which would overvalue one form of capital (financial) artificially vis-à-vis the others. The second is that non-financial capitals are positively correlated with financial capital, meaning that when a firm intentionally invests in the social, human and natural capital of the ecosystem in which it operates, its financial performance (in terms of growth and profits) is higher than if it just focuses on financial profit maximisation in the short term. These findings are supported by the outcome of a number of Economics of Mutuality business pilots noted at the forum. Finally, the impact of new performance metrics, more mutual management practices, and the change of focus from profit to purpose was discussed in terms of implications for corporate governance and ownership. For the Economics of Mutuality to deliver its full potential in business, continuous reinvestment by the firm in the social, human and natural capital of its ecosystem is needed, as well as greater attention to value-creation for stakeholders rather than just for shareholders. These factors all need to be prioritised differently to reflect the value each contributes to attaining the purpose of the firm. This transformation at the core of business will require reforming the underlying frameworks and assumptions that influence and structure how we do business today. Although there are today some notable purpose-driven leaders in high-profile companies, and some truly aspirational corporate social responsibility initiatives, there is a need to ensure that mutuality and responsibility in business are embedded at all levels within the firm (and not only at the top or at the periphery) – through the alignment between the firm’s purpose and the higher purpose of the ecosystem in which the firm operates, the enactment of new performance metrics accounting for the value creation and depletion that the firm is responsible for and, ultimately, the alignment between the firm’s purpose and its management accounts. This transformation will be achieved through different means starting with business and management education, and influencing the behavior of next generation MBA students as they move into the workplace. MBA students participating in the Forum highlighted this need to adjust the curriculum of business schools. One MBA participant ended her inspiring talk with an impassioned plea for action that captured the imagination of many at the forum by asking, “If not now, when? If not us, who?”. This can be achieved in part in higher education through a greater focus on critical thinking and creativity -- challenging rather than just accepting the status quo that the current dominant model of financial capitalism the only way or the better way. Another option discussed at the Forum was how the trend in business education of establishing separate technological institutions could be reversed, with increased focus insead on interdisciplinary learning and thinking, in particular, by exploring humanities and the arts. As mutuality itself is built on the idea of reciprocal relationships that build trust, the way ahead may also be through increased engagement with and learning from others, at both an individual and organisational level. This transformation will be fully materialised when businesses experience on a large scale the superiority of mutuality-based business models in delivering business performance (even in the short term) – thus demonstrating practically that the current financial capitalism approach, while valid for a period of time, has today become inefficient, depriving business of profitable growth opportunities and of the incentives to become more responsible actors in society. This transformation will finally be fully embedded in society when policy makers evolve the law with regards to the status of the firm in order to reflect the new responsibility that business size and global influence confer on corporations in today’s world. This transformation cannot be something done by business to the world, but with business in the world. It is both a duty and an opportunity for business leaders, education and policy makers.